Personalize this Monogram Necklace Interlocking Style with any 2 or 3 letters or initials. 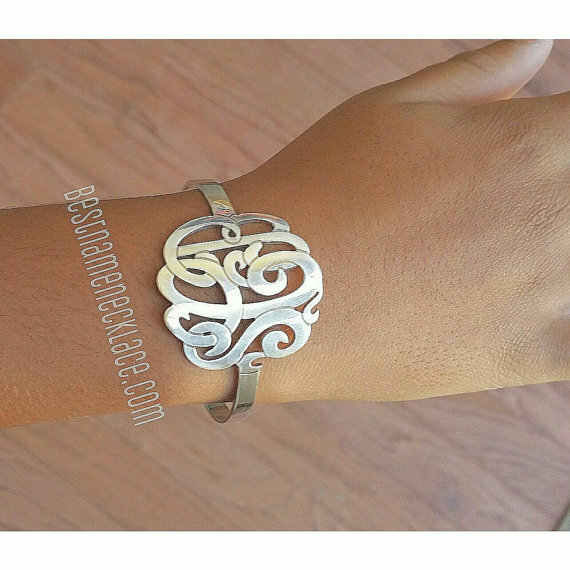 A very beautiful and sturdy piece of monogram jewelry that will be treasured forever. A solid piece of jewelry you will cherish forever. The model in the picture is wearing our 1.5" size. Any 1 to 3 initilas. Monogram pendant comes in 4 sizes: 1.2", 1.5", 1.75", 2". Our model in the picture wears a 1.5" size. 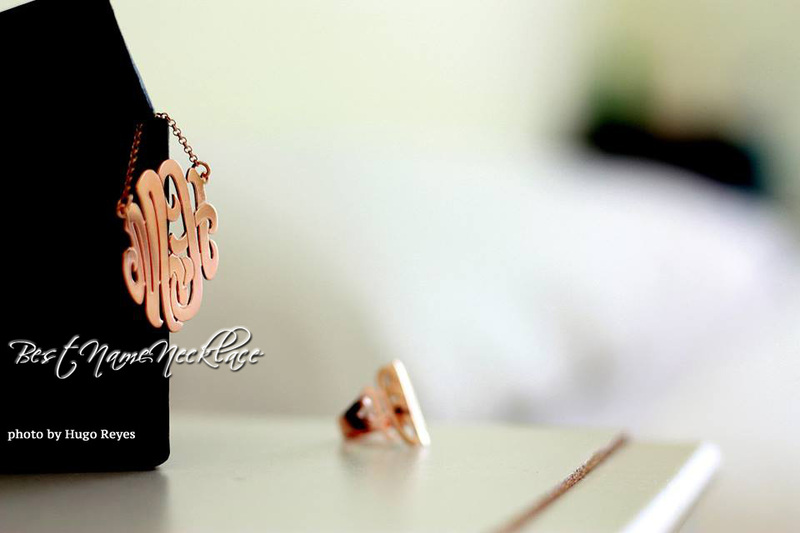 The Monogram Necklaces were prefect and exactly what I hoped for. Thanks so much for working with me and getting them to me on time! I love them, I just wish I had ordered one for myself!! I bought this monogram necklace to wear it during my vacations. Love it. Very sturdy and a very nice rolo chain. The pendant is very well finished and it is very sturdy. Thank you!